Please browse our merchandise below. If you have any questions please just get in touch. Click on the thumbnail image for a larger version. Please see size guides at the bottom of the page. Your shopping cart will appear at the top of this page when you select an item for purchase below. You DO NOT need a PayPal account to make payment. We accept all major credit cards via Paypal’s secure website. Please note International Postage costs extra – we will email you once the order has been placed to cofnirm the amount. Stunning two piece jewellery set, consisting of earrings and a matching necklace, set with diamond crystals. Luxury hand knitted bobble hat, perfect for those cold mornings (and nights!) at the yard! Beautiful bespoke handmade BTRC Key Ring/Bag Charm with BTRC Trolley Coin included. 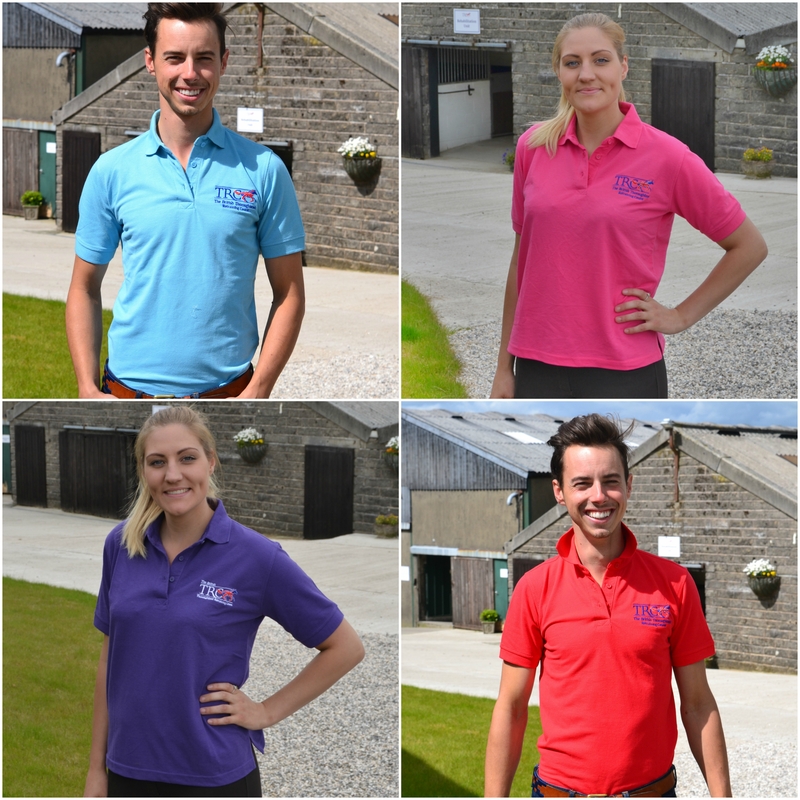 The classically styled British Thoroughbred Retraining Centre Polo Shirt features the BTRC logo embroidered on the left breast. Durable and easy to wash with cuffed sleeves and plain hem. 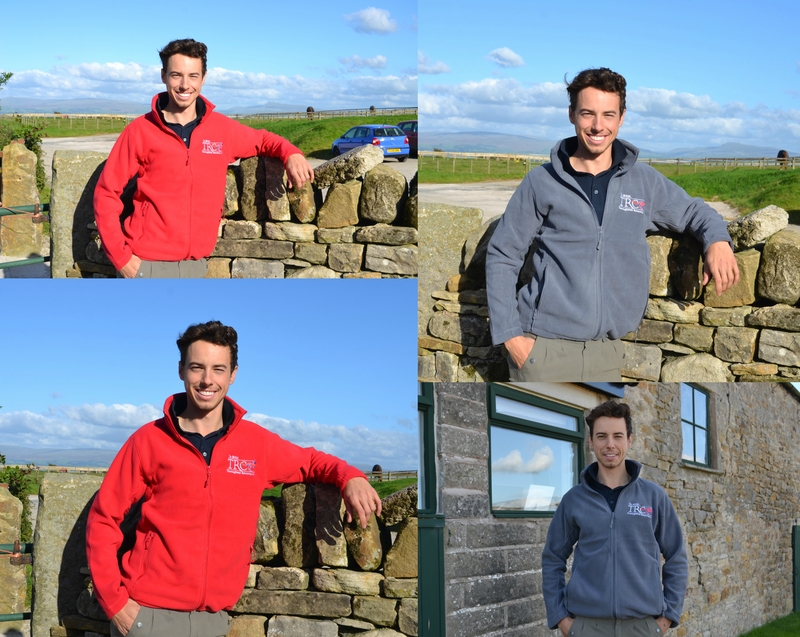 The winter essential full zip fleece made by Russell. Panelled construction allows for an excellent fit and a modern look, ideal for those cold days out hacking! Side pockets with reversed zips. Cord pulls on all zips. Please note grey M is now out of stock. Insulated travel mug keeps drinks hot or cold. Perfect for those cold mornings / nights at the yard. 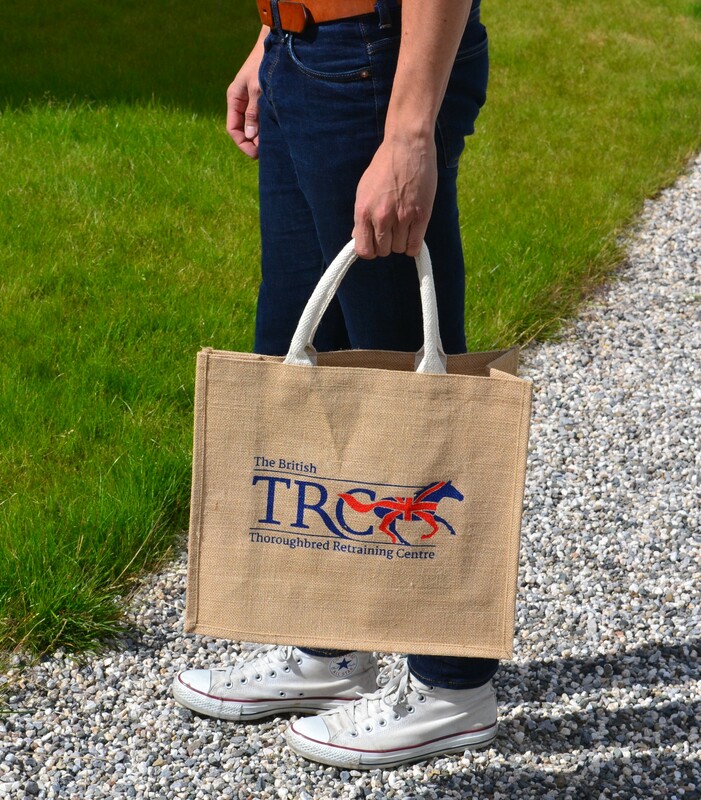 Strong Durable Hessian shopper made from environmentally friendly materials with a lining for increased strength and water resistance. Can be used to store / carry anything! 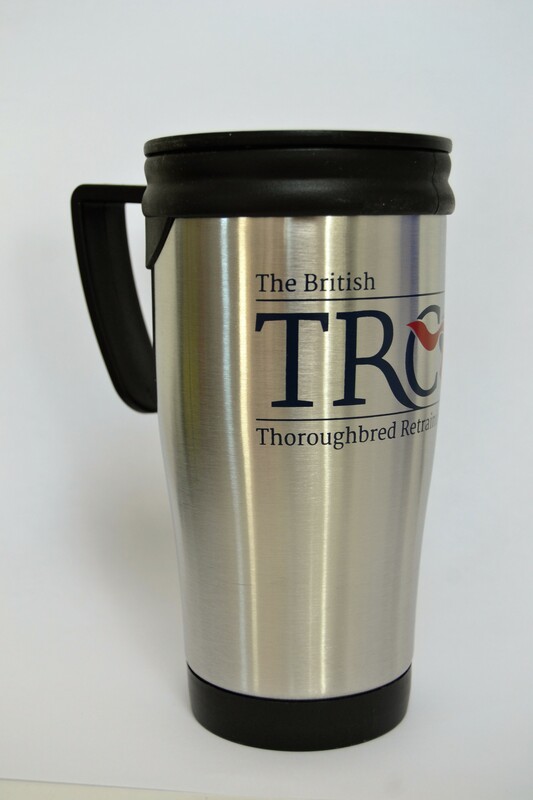 Great way to show your support for the BTRC whilst out and about. 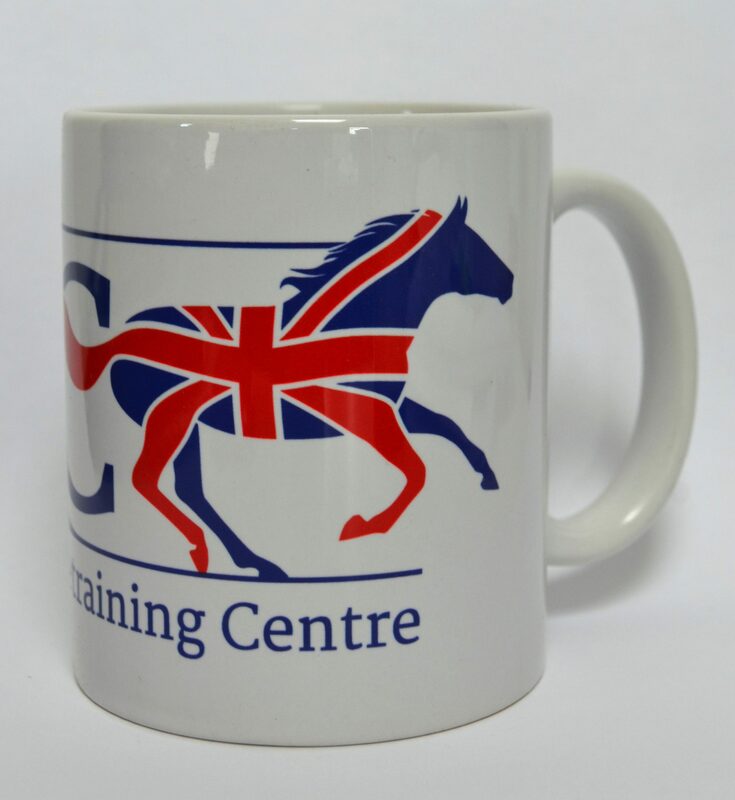 Great for the home / office / yard these durable porcelain mugs are handy for good brew after a cold morning out with the horses!